At last I have this afternoon free of teaching and other commitments, and having fortified myself with lunch in Pugin Hall, I’m preparing to make an attempt on the summit of the Open Journal of Astrophysics now that all the outstanding administrative obstacles have been cleared. Before shutting myself away to do up the loose ends, however, I thought I’d do a quick post about a couple of electoral matters. At present, the Constitution says that publishing or saying something blasphemous is an offence punishable under law. Blasphemy is currently a criminal offence. 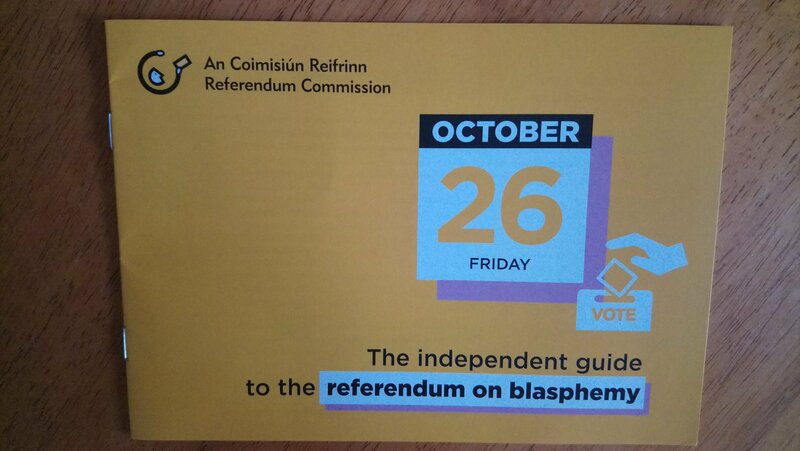 The referendum will decide if the Constitution should continue to say that publishing or saying something blasphemous is a criminal offence. If the referendum is passed, the Oireachtas will be able to change the law so that blasphemy is no longer a criminal offence. Having read the booklet thoroughly and thereby having understood all the issues, and the implications of the vote, I have decided that I will vote in favour of making blasphemy compulsory. Quite a few people are suggesting that one way out of the current Brexit fiasco is to have another referendum when the terms of the withdrawal agreement (if any) are known. Bafflingly, Theresa May has argued that a second plebiscite would be `a betrayal of democracy’ and has categorically ruled out that possibility. Given her U-turn about last year’s General Election one might reasonably infer that a second referendum is now a racing certainty, but she called the election because she was confident she would win. All the signs are now that if given a chance to vote again the UK would vote to remain in the European Union, so the PM will need a very hard push to allow a second referendum. A smart politician would have used the evidence of electoral misconduct by the Leave campaigns as a way out, but we’re not dealing with smart politicians on either side of the House nowadays. Whether or not there is a second referendum an important question arises from the possibility, i.e. what is the proper plural of “referendum”? Regular readers of this blog know that I’m never pedantic about such matters. Well, maybe a little bit, sometimes. Latin was my best subject at O-level, though, so I can’t resist making a comment. Latin grammar includes two related concepts derived from a verb, the gerund and the gerundive. The gerund is a verbal noun; such things exist in English in forms that mean `the act of something’, e.g. running, eating, loving.The word formed from a verb with the ending `ing’ can also function as a present participle in English, but we wont be going there. It may easy to muddle up gerunds with participles in English, but not in Latin as they are formed in distinctly different ways. Related to the gerund is the gerundive which, as its name suggests, is an adjectival form related to the gerund, specifically expressing necessity. In Latin, an adjective takes an ending that depends on the gender of the noun it describes; the gerundive also follows this pattern. In the loving example above, the gerundive form is amandus in a masculine case or, if referring to a female entity, amanda, hence the name Amanda, which means “deserving or requiring love”, or amandum for a neuter noun. In cases where the noun is plural the forms would be amandi, amandae, and amanda. Endings for other gerundives formed from other verbs are constructed in a similar fashion depending on their conjugation. From this discussion you can see that in Latin amandum could mean either “loving” (gerund) or “a thing to be loved” (gerundive). Latin grammar is sufficiently precise, however, that the actual meaning will be obvious from the context. As an aside, based on my own experiences in mathematics and physics, the abbreviation `QED’ which is often placed at the end of a proof is short for `Quod Erat Demonstrandum’, meaning `which was required to be shown’ rather than `Quite Easily Done’. I’m surprised how many people use QED without knowing what it means! Now, back to referendum. It seems clear to me that this is a gerundive and thus means “a thing to be referred” (the thing concerned being of no gender, as is normal in such cases in Latin). So what should be the word for more than one referendum? Think about it and you’ll realise that referenda would imply “more than one thing to be referred”. The familiar word agenda is formed precisely this way and it means “(a list of things) to be done”. But this is not the desired meaning we want, ie “more than one example of a thing being referred”. I would therefore argue that referenda is clearly wrong, in that it means something quite different from that needed to describe more than one of what a single referendum is. So what should we use? This is a situation where there isn’t a precise correspondence between Latin and English grammatical forms so it seems to me that we should just treat referendum as an English noun and give it the corresponding English plural. So “referendums” it is. It was all a bit confusing as it seemed to be a protest and a counter-protest all in the same place. 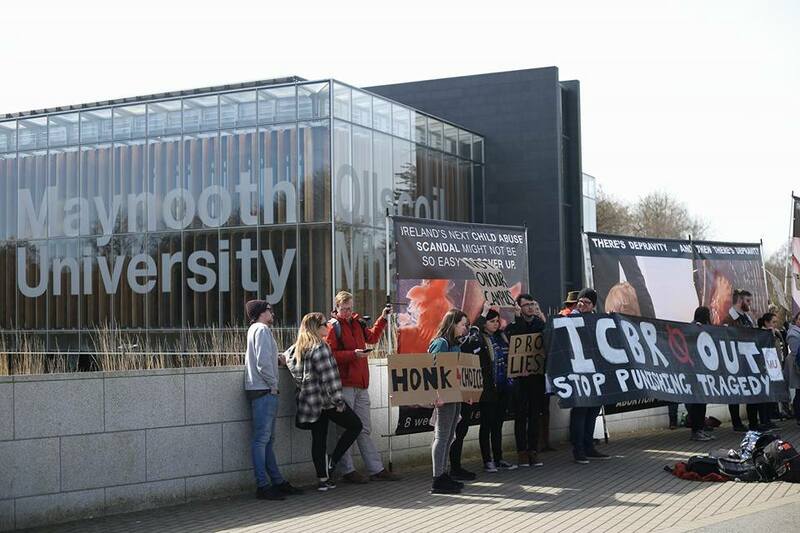 It turned out after asking a few people that the original demonstration was by a group calling itself the Irish Centre for Bioethical Reform (ICBR), which is a fringe anti-abortion group that specialises in putting up gory images to make their point. They have been pulling a series of stunts in the area ahead of the forthcoming Referendum on the Repeal of the Eighth Amendment of the Constitution of Ireland, which will take place on 25th May 2018. The counter-demonstration (which seemed to involve more people) deployed the simple device of standing in front of the the ICBR demonstration so their lurid images were hard to see. This is why I couldn’t quite see what was going on as I walked past. (Incidentally, that would be the 36th Amendment of the Constitution of Ireland. It is in the drafting and amending of any such provisions that emerge when the ethical issues should be debated. The matter for the referendum is (or should be) simpler than this: it’s just about whether the existing Article should be scrapped. Incidentally, a number of people have asked me if UK citizens resident in Ireland can vote in this referendum, as Irish citizens resident in the UK could in the Brexit referendum in 2016. The answer to that question is `no’: British citizens in Ireland can vote in local elections, elections to the Dáil, and European Elections (although presumably that will change if the UK leaves the European Union); they cannot vote in any referendum or in the election of the President (which will take place later this year). Irish citizens can vote in every election and referendum. 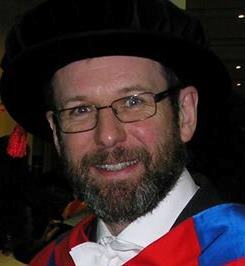 This short talk, by Professor Michael Dougan of the University of Liverpool Law School, has been widely circulated but I thought I’d nevertheless share it here as it explodes many of the untruths circulating about the European Union. There’s far more useful information in this than anything produced in the official campaigns on either side, so whether you’ve made your mind up already or not, please have a look.. Although it’s a lot of money in cash terms, it’s very small compared to current expenditure on, e.g. Health, Education and Welfare and even compared to the interest payments on our national debt. Saving this contribution would not make sufficient financial resources available to make a significant difference to these other big ticket items. Note also that if the UK loses its current credit rating, the expense of servicing our debt will increase by an amount that could easily on its own wipe out the saving on our EU subscription. And of course what we get for that relatively small contribution is access to beneficial trade agreements, inward investment from EU companies and other sources, and access to the science programmes. You may disagree, of course, but I think it’s money very well spent.